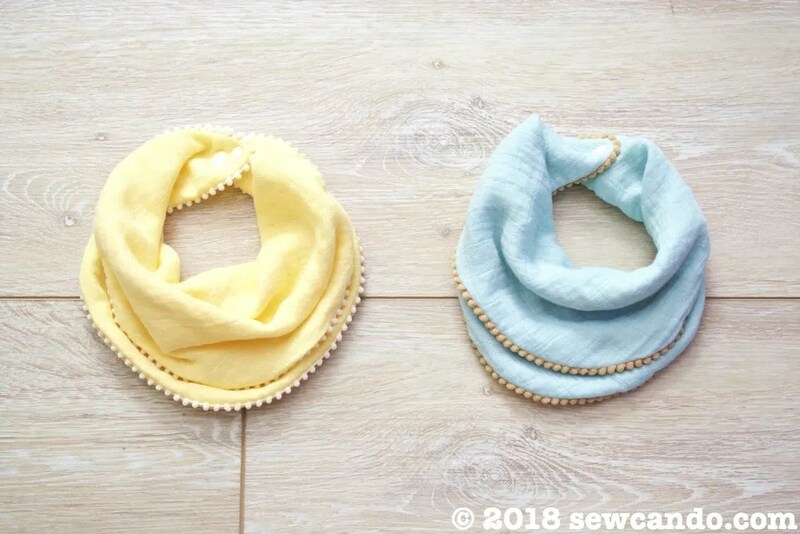 Cheryl from Sew Can Do offers a free downloadable pattern & tutorial for a stylish infinity baby bib that also can be used as a burp cloth and lovey blankie. Saves tons of space in the diaper bag with 1 item doing the work of 3! Made from super soft bamboo muslin, it’s perfect for summer and a fun mini pom pom trim gives it chic detail that’s still baby safe. Easy to sew, it’s ideal for making a quick stack in no time and is an ideal handmade baby gift too.